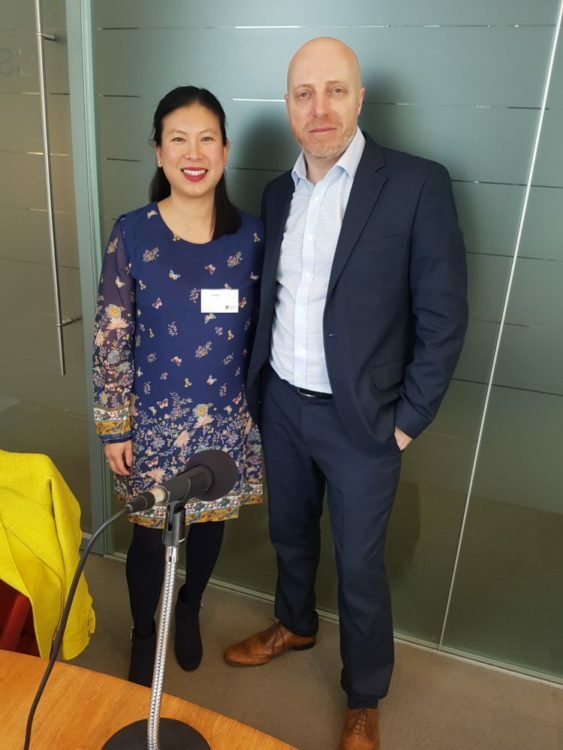 Show 65 was sponsored by Nuffield Health and recorded at the Endeavour Search & Selection Ltd Wellbeing Seminar, hosted by Jerry Goldsmith, that took place at the offices of Berwin Leighton Paisner in London Bridge. Why it’s important to have a purpose in our own lives and why businesses need to have one too. Geoff thinks that purpose is the key component to our overall wellbeing and what helps to enhance it. He makes the link between wellbeing and energy, where wellbeing is the charger to his battery, and purpose is an important element of that – feeling as an individual that you are giving in the world, rather than just getting. But he said that purpose is also hugely important at an organisational level too and used his experience at Unilever as an example where purpose became a fundamental driver to the performance of the business as it led the organisation to make decisions around innovation, risk mitigation, growth, and cost, etc. “Our business has always been driven by a sense of purpose, a thread that connects us to our founding companies and their social missions to improve health, hygiene and livelihoods in their communities. Geoff said he has a very clear purpose in that he wants to create workplaces, all over the world, where employees feel they have a genuine choice to put their hand up and ask for help if they are suffering from a mental illness, such as depression, anxiety and bipolar, as he knows people can do the same if they are suffering from a physical illness. He explained that this purpose came about as a result of his own crucible moment in life that took place at midnight, 25th January 2008, when he woke up with a massive panic attack. The following day, his doctor diagnosed him with anxiety fuelled depression, which he said liberated him to talk about his illness, a decision which Geoff says saved his life. He told his family, friends and colleagues and then took three months off work, with a combination of medication and cognitive behavioural therapy, but what kept him going was the outpouring of love that he received in response. Geoff explained though that overcoming depression takes time, within which there will be dark moments and the only thing that prevented him from taking his own life was knowing how much he was loved, and that only came about because of the fact that he had spoken about his illness. But in October 2012, something else happened in Geoff’s life that really drove him to do the work he does today in helping organisations to break the stigma of mental health. On his way home from work, his wife called to tell him one of his best friends had just taken his own life and Geoff’s conclusion as to why he was alive and his friend was dead was because Geoff was able to talk about his illness whilst his friend wasn’t. Do companies have mental Health First Aiders and Mental Health Policies? This question was submitted via the csuite podcast twitter feed by Rachel Miller of All Things IC who cited the Diversity and Inclusion Guidelines that were recently published by the Public Relations and Communications Association (PRCA), within which it quotes the PRCA’s Mental Health Survey that showed that 59% of PR and communications practitioners have suffered from mental ill health yet, alarmingly, over 90% of PR and communications employers said they had no formal mental health policy. Geoff said that we are still in the foothills of addressing the stigma and the issue of mental ill health in the workplace across all industries, even though we have made great advances in a broader societal level within the UK in driving awareness and understanding, where he feels people are more comfortable outside of work talking about their mental health. Organisations are therefore having to think more about mental health policies. For example, they will have first aiders on each floor for physical health and therefore, why shouldn’t they have first aiders around mental ill health. Geoff said there are organisations that are beginning to do just that, although he considers it a hygiene factor and doesn’t believe it’s nearly enough to address the stigma surrounding mental health. He also thinks we need to go beyond mental health and talk about people’s wellbeing and energy as a driver of their performance. Geoff’s frustration comes from the fact that over the years, we have spent billions on health and safety, but he believes most of that money has gone to safety and not to health, and where it has gone on health, it has been almost all been related to physical, not mental health. What steps do organisations need to take, to create the right environment to make people feel comfortable to be able to talk about their mental health, feel energised and enhance their performance? Have we got purpose and meaning in our life? Geoff therefore believes that by building energy into the performance management system, it will force organisations to make sure they have the resources in place to enhance the energy levels of their people across all those above four levels. We need to have leaders who are as engaged and advocating for mental ill health as they are for safety by telling their stories of someone they know who has been touched by mental ill health. Geoff also raised the issue that there is legislation around safety but not around mental health. Everyone in the organisation should be trained to get a basic appreciation of mental ill health, just like they are around safety. This will help them get an understanding of what is depression, what is anxiety, what are the symptoms and how can they start a conversation with somebody they may have noticed is not looking or feeling as good. Improve and create a more positive narrative around the organisation about mental ill health. Geoff feels that all the imagery associated with mental health is extremely negative and there is very little that is aspirational or inspirational about maintaining our mental health. 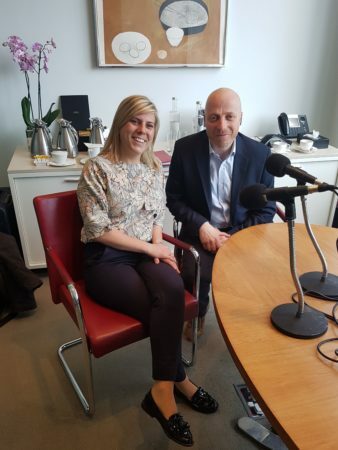 In Part 2 of the show (starting at 26:41) Russell was joined by Alaana Linney, Director of Business Development at this episode’s sponsors, Nuffield Health. Alaana’s colleague and Chief People Officer at Nuffield Health, Sharon Bridgland Gough, had been speaking at the conference on how mental health and physical health are inextricably linked and how understanding risk at an individual level within your employee base leads to a better wellbeing strategy. However, we were keen to explore further with Alaana how Nuffield Health work with their clients to look at anonymised data to help with their Wellbeing strategies to mitigate or prevent work-related health problems, something she had been quoted on in a recent FT article on ‘How managers can put data on sick leave to a healthy use’. For example, she explained how one Utilities client of theirs wanted to buy physiotherapy for all their staff, which Alaana said showed they have a good attitude to health and wellbeing, with the aim of creating a culture where people thrive. However, on reviewing that company’s absence data, what Nuffield Health could see was that there was a huge amount of risk within mental health within their call centre environment, and so providing physiotherapy services wouldn’t meet the needs of their people. They therefore developed on site CBT [Cognitive Behavioural Therapy] services for the call centre environment and leadership resilience training and allowed their engineers to access musculoskeletal services, like physiotherapy, within their network, which Alaana believes demonstrates that, whilst providing equitable services for your employees is important, money should follow risk and there are more ways of being equitable than just providing the same thing for everyone. Another example Alaana shared, to show how a client has used data in this way, was for a Car Manufacturer, where if their people are going off sick, particularly with musculoskeletal issues, it can really impact the volume of output. The result was that, whilst there are still some conditions being reported, it’s at a much lower level frequency, which has achieved their objective of reducing cost due to absence within that business. Alaana also shared some of the findings from a recent survey they carried out across a number of companies with over 1000 employees, and one of the key headlines was that 30% are not measuring any absence whatsoever, which surprised her given how much of a significant cost to the business absence is. They also found a direct correlation between those not measuring absence and then not understanding the risk within their business, with 30% of respondents having no idea what issues was most prevalent amongst their employees. More information can be found on this topic in the section on Nuffield Health’s Corporate Wellbeing Services on their website. 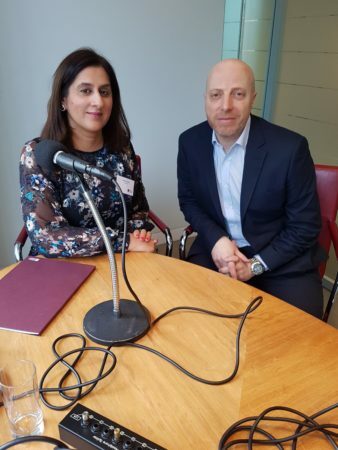 For our third interview (starting at 34:49), Russell was joined by Monica Kalia, Co-founder of Neyber to talk about the financial side of wellbeing in the workplace as she believes that an employer’s responsibility for their employees’ financial wellbeing doesn’t begin and end at the pay cheque and that ultimately, employers do need to do more. Monica shared some of the findings from their 2017 and 2018 DNA of Financial Wellbeing reports, which aim to highlight the synergies and disconnects between employers and employees around how people feel about their financial situation. As part of their research, in 2017, Neyber surveyed 10,000 UK employees on their financial situation and the headline statistic was that 58% of respondents said that they have been affected by financial worries at some point in the last year. In repeating the research in 2018, Neyber have found an increase in the impact of financial worries and in fact, that average figure of 58% has now risen to 62%. 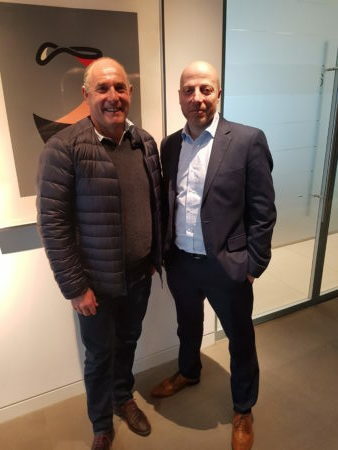 To try and address this issue, as well as offering financial education and products, Neyber look to help their clients by building a financial wellbeing strategy, but, for example, looking closely at how it links in with their Mental Health strategy and their Employee Assistance Programme provider. Monica said that, much like mental wellbeing, there is a stigma around financial wellbeing but she hopes that due to the measures employers are starting to put in place, employees will begin to feel more comfortable talking openly about their financial situations. You can request a copy of this year’s DNA of Financial Wellbeing report from the Neyber website. 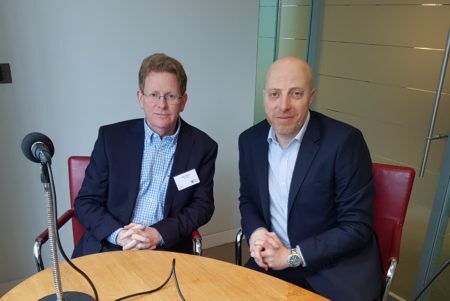 Our fourth guest (starting at 39:57) was Alan Fogarty, Partner at Cundall, a company of consulting engineers whose focus is on designing environmentally-friendly, sustainable buildings. Alan had presented at the conference on how he implemented the WELL Building Standard in his London office fit-out, achieving a Gold Level for what is the first certified project of its kind in Europe. Alan began by explaining that a building can have a huge impact on the wellness of those working within it. First and foremost, it’s about making people feel comfortable and healthy in the space. Therefore, the basic requirements would include providing decent quality lighting, heating and standards of water. You also need to provide sufficient quantities of fresh air, otherwise you will have increased levels of CO2, which will mean people can’t concentrate or perform cognitively. However, beyond that, Alan said the building should also be aesthetically pleasing, including good sources of daylight, otherwise people won’t want to be there. Required to have seating space for 30% of the staff in a canteen area, which is now very well used by the staff. They know it’s having a positive impact on their people as they receive good feedback directly and through surveys about the air quality and lighting being better. They have also seen that absenteeism has reduced by 50%, which financially, Alan said has saved the company over £200,000. 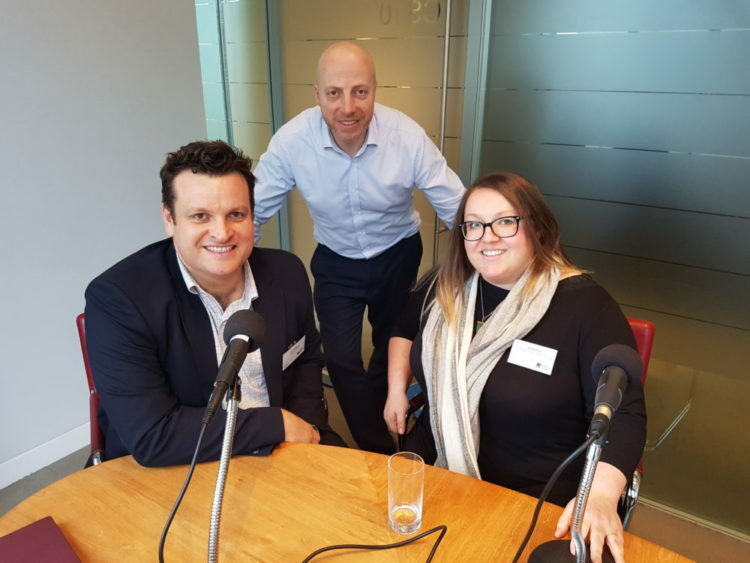 Our next guests (starting at 49:09) were Holly Price, Training & Development Director at Keltbray Group – a specialist business that offers engineering, construction and demolition amongst other services and solutions – and Daniel Raine, Global Director Consulting & Business Intelligence for HRG Worldwide – who help their clients on their travel, meetings and events, expenses and related data. Holly explained that the nature of Keltbray’s work, being across industries such as the railway and civil engineering, means that it’s a very people focused business as their output is very much reliant on the physical attributes of it’s people. She said that the construction industry is certainly focusing more now on Mental Health and Wellbeing in general, which had previously been a bit taboo, as she described, within the sector. It’s a personal interest of her own as Holly said a few years ago she was struggling herself with symptoms of tiredness, being irritable and unable to focus at work, to the point where her energy was drained. In doing her own research, she came across a white paper from St Barts. Hospital on the topic of Energetics and Heart Rate Variability and the fact that we can measure human performance and human energy. This then led her to an Institute in California where she learned about techniques to improve energy in people, which she has since introduced into the company. One such example that Holly shared was Heart Focused Breathing, where you breath five seconds in and five seconds out, whilst focusing the attention on your heart if you can. The issue of keeping up your energy levels was a natural link to bring Daniel into the conversation given HRG’s business, which as he explained travel can have a huge impact on you but those around you too, due to how tiring, pressured and stressful it can be, as well as other issues like having to recover from jet lag, catching up with the build-up of work whilst you were travelling and being away from family. However, quite often, it’s procurement at companies who are focused on getting their employees from A to B as cheaply as possible, but Daniel felt there is a juxtaposition on what the impact is on the experience for the traveller. He said what therefore needs to be considered, in terms of cost, is how well that individual is going to do their job when they land at their destination. HRG provide a dashboard for clients that enables them to monitor the trips and hours travelled by employees, working with some easily accessible travel KPIs, such as number of trips, how long you have been out of the county, time zones crossed, number of weekend trips, indirect flights etc, which helps to build a picture of who is most at risk of travel fatigue, or may not be performing at their optimal level. We then touched on the possibility of wearable devices for travellers that could be a good way to monitor our people’s energy patterns and perhaps remind them when they need to take a break, although Daniel highlighted the issue of whose responsibility that becomes. Of course, it would also raise the question of how much of your physical data you want your employer to be monitoring. Our final interview (starting at 1:06:33) was with Kirsten Samuel, CEO of Kamwell. Kirsten talked about the importance of creating a Holistic Wellbeing programme to bring all the aspects of Wellbeing that had been discussed during the conference together as everything is connected – physical, mental, financial, the impact of the building etc. She said that this will help to create more value for the people within an organisation. She also added the importance of social to that list too. However, what Kirsten is really keen to see, is a change in the narrative from coping prevention, surviving etc to a much more uplifting one of thriving and energised employees and workplace cultures. Take an honest look at why you are running a wellbeing programme – is it lip service/ a tickbox exercise or do you really mean business, in which case, means being backed up by board level commitment, having the resources and funding behind you to make it a real success. Research and involve you people to help shape your programme. Understand what you already have in place and how to bring that together. Get employees inspired to want to take care of and being accountable for their wellbeing, which will help find the balance between paternalism [from the organisation] and autonomy.